A huge garden and a swimming poolin the old family farm will help you relax. We are located in the historic center of the village of Provence, 3 km from Avignon. You can stroll and discover the Pontifical Chartreusedu Val de Benediction, the Fort St. Andre, the Tour Philippe le Bel. Remember the Provencal market, renowned village, every Thursday morning. The next day, you can leave your car here and go to Avignonin buses (5 minutes) or walk (20 minutes to the porte de l'Oulle) to visit the Palace of the Popesand thePont Saint Benezet. Jean-Paul will be happy to speak to his village and show you the press room, which functioned in the seventeenth century for producing olive oil. The Lavande room (double), the Basilic room (double) and the Romarin room (single) are all large rooms with table, armchair, large mirror, and shower and WC. The Origin room has 3 beds ( 90 cm ). The rooms will be ready between 2 pm and 4 pm. You can arrive before to store your luggage. If you arrive before 4 pm or after 6 pm, please send me a mail, or phone me. 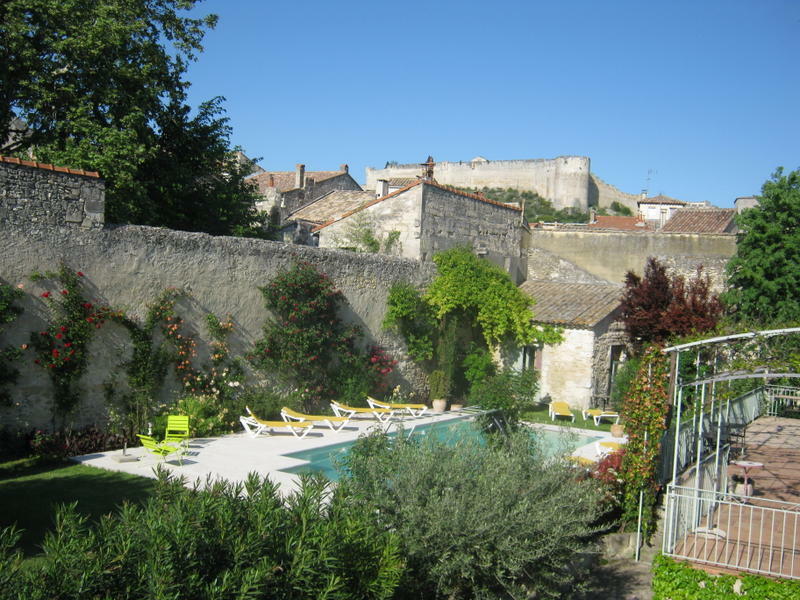 We are located 3 km away from Avignon, in the easy and quiet suburb and also provencal's village. You can cross the Rhone River by foot or by getting the city bus ligne 5, go down to 'office de tourisme' bus stop. You must go in front of Credit Agricole Bank, old church, and after on the right of the church tower square. We are located on the first street on the left after the square with caf on the Rue de la Rpublique of Villeneuve lez Avignon. Please see our map for more details.